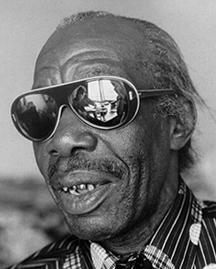 I’m very very partial to the tunes and Mardi Gras Spirit of Professor Longhair. When I first arrived in NOLA in the mid 70’s, Fess very much alive, and I remember seeing Fess live at Tipitina’s many times. It wasn’t until Longhair had been dead for 15 years that his music really took off. That’s when I got involved in the Longhair estate professionally and made sure his heirs would be properly taken of. I went to the south Riviera of France, to MIDEM, the premier music publishing conference after setting up meetings with international roots publishers I knew. I met with Don Williams (dwmg.com). He owned some great roots music catalogs, but none from New Orleans. He was very interested in the Longhair publishing sale. Within a few years, he purchased Longhair, Booker, and Earl King’s publishing catalogs. 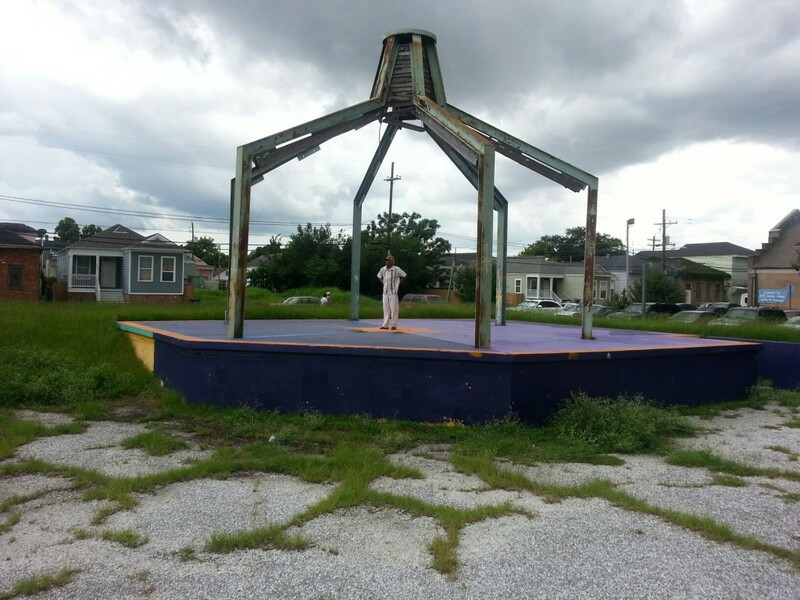 All 3 had songs in all 3.5 seasons of Treme, HBO’s series about NOLA after Katrina. The Booker, Earl King and Longhair estate are all thriving financially as they head into 2013. 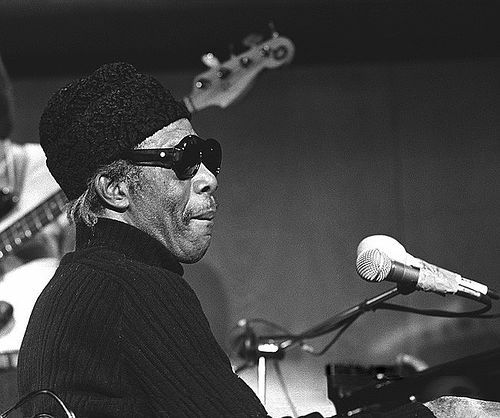 New Orleans has an exotic flavor all its own, and Professor Longhair exemplifies the colorful music traditions that are representative of the city. At the time of his death at age 62 he remained a brilliant pianist and singer with an unusual, appealing voice. Fess died a relatively poor man in January 1980. He owned 1 huge asset- the songs he wrote. His will showed his unusually large heart. Fess had 2 kids, a boy and a girl, by his wife Alice. While these kids were growing up, Alice left Fess and had 4 kids with other fathers. These 4 kids were Alice’s, not Fess’, yet he gave 25% of his estate to Alice’s kids, and 75% to his 2 kids. That’s a big man! 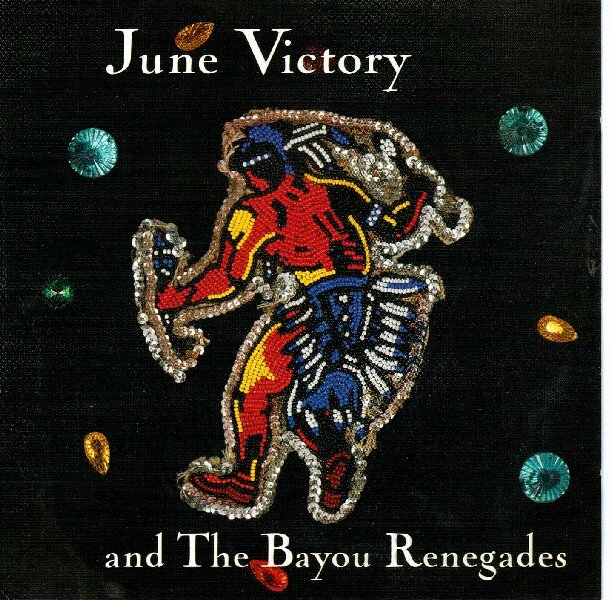 His Carnival songs, Big Chief, Parts 1 & 2 and Mardi Gras in New Orleans remain very popular after all these years because they reflect the exuberant spirit of Mardi Gras. 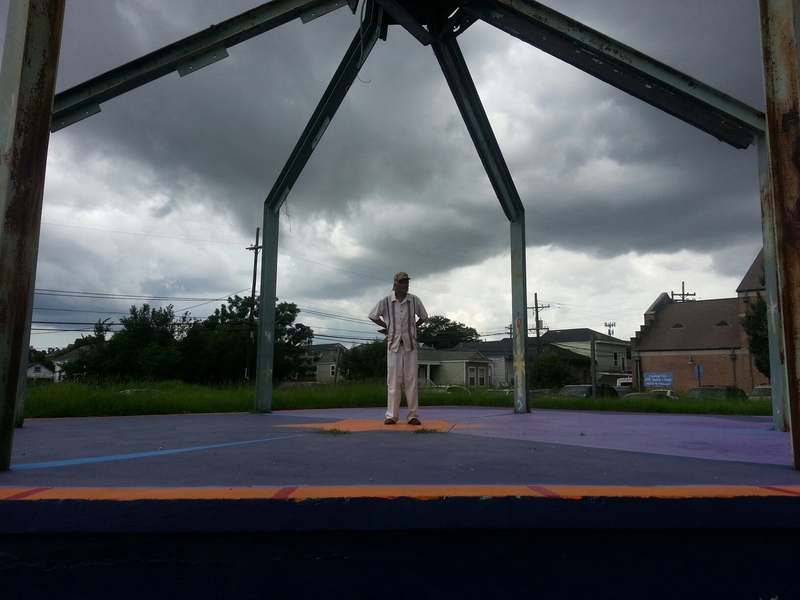 Longhair’s songs are related to the second line dance beat popularized by New Orleans Jazz funerals. He described his music as a combination of “rumba, mambo and Calypso.” Born in Bogalusa, Louisiana in 1918, Henry Roeland Byrd’s family moved to New Orleans in the early 1920s. Young Roy first became a proficient tap dancer, then a guitarist, before settling on his voice and piano as his instruments of choice. Dancing outside of taverns for tips as a boy heightened his sense of rhythm. During the 1930’s, Byrd played the piano professionally while working at other jobs, including the Civilian Conservation Corps, cooking, boxing, and card playing before being drafted in 1942. In the military, Byrd became serious about his playing when he learned he could entertain his fellow Corps workers instead of working. In 1944, he was released from the service due to poor health. Byrd returned to music and around 1947 earned his famous nickname, reminiscent of the old Storyville ‘professors’ who entertained on the piano in the local bordellos. As the story goes, Byrd received his nickname courtesy of the Caldonia Inn’s proprietor, who, upon meeting the long haired Byrd and his group, named them “Professor Longhair and the Four Hairs Combo,” which soon became “Professor Longhair and the Shuffling Hungarians.” Longhair is on record as saying there was a Hindu in the Band, but no Hungarians. 1949 was a big year for the Professor, he recorded his first and most successful songs: She Ain’t Got No Hair, Mardi Gras in New Orleans, Bye Bye Baby, and Professor Longhair’s Boogie. A remake of She Ain’t Got No Hair renamed Baldhead reached number 5 on the Billboard R & B chart during the summer of 1950. He continued to record for several companies sporadically throughout the 1950s. Fess had his biggest Carnival hit when he recorded Mardi Gras in New Orleans as Go to the Mardi Gras, a local hit in 1959. This song sells well every Carnival, but Longhair had no royalty agreement. The Professor recorded a few times in the early and middle 1960’s but again major success and money eluded him. His second Carnival classic, Big Chief, was recorded with Earl King (whistling and on vocals) in 1964. Big Chief was not much of a hit for Longhair himself, although Dr. John revived it in 1972 on his Gumbo album. The Professor’s version, on a 1976 album (featuring twelve R & B Carnival classics by six artists) continues to sell well seasonally and has done much to popularize Big Chief. 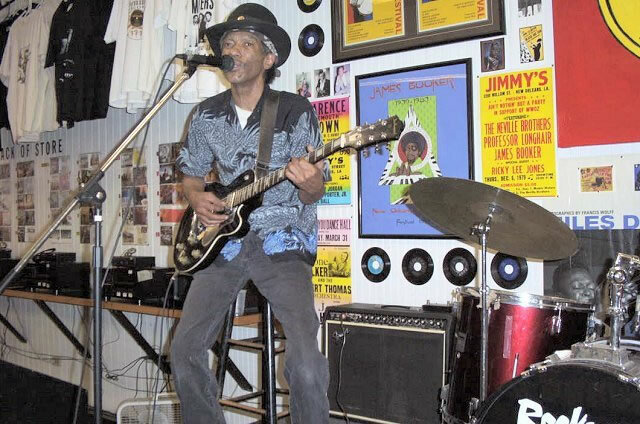 Music failed to provide Fess with any sort of living during most of the 1960’s, his career didn’t revive until he played at the Louisiana Jazz and Heritage Festival in 1972 and 1973 and the Montreux Festival in Switzerland in 1973. Gloriously, in 1974, the Professor’s career was reborn. He recorded an album, resumed his local club appearances and performed in New York and Europe. 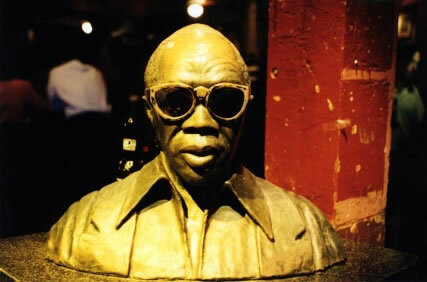 In 1975, Tipitina’s, named after one of the Professor’s best songs, opened in uptown New Orleans. Still open, Tip’s is one of New Orleans’ greatest nightclubs today. There’s a beautiful bust of Fess when you first enter the bar. At the end of his life he did achieve some of the recognition he deserved, as rock stars like Paul McCartney came to pay him homage. His last two albums before he passed, Crawfish Fiesta and Mardi Gras in New Orleans, won large critical acclaim and are still available. When he died, he was accorded a traditional jazz funeral, attended by many local music luminaries and thousands of fans (including me!). His unique playing continues to inspire and amaze musicians and fans. Each Carnival, his songs are heard on the radio and on jukeboxes all over town. Fess certainly is missed. Carnival music adds considerable excitement to the festivities. All the major activities of the Carnival season: parades, balls, and parties make heavy use of music. 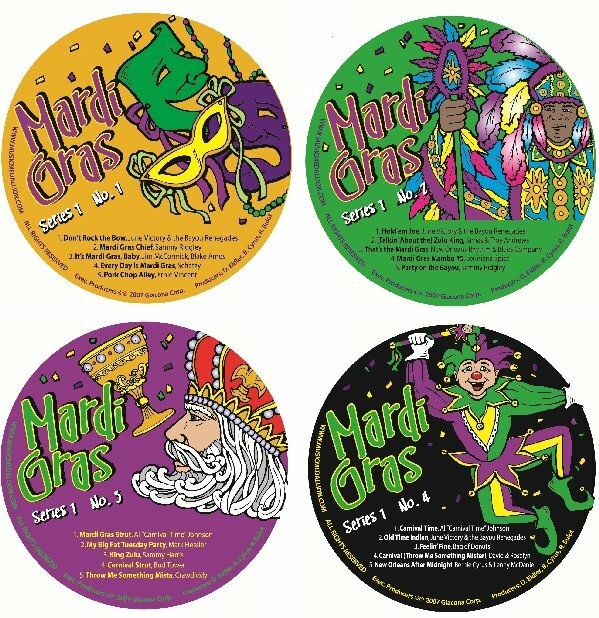 Probably the most popular songs of Carnival, revived annually on jukeboxes, the internet, and across the radio dial, are Rhythm and Blues Carnival Tunes performed by Professor Longhair, Al Johnson, and the Hawketts (also Hawkettes). 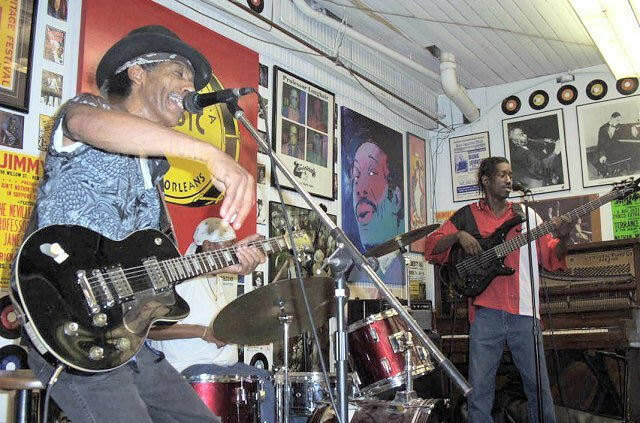 Four songs are heard most often: The Hawketts’ Mardi Gras Mambo, Al Johnson’s Carnival Time, Professor Longhair’s Go To the Mardi Gras, and Earl King’s Big Chief Part 1 & 2 (as performed by Longhair). Mardi Gras Mambo was a local hit for the Hawketts in 1954. It was the first recording experience for the group, which included lead vocalist and organist Art Neville. The majority of the band was still in high school. They received little money from the recording, but were established as a favorite local performing group because of it. Oddly, there was never another Hawketts recording. 6. Second Line Part 1, Stop Inc.
12. Second Line Part 2, Stop, Inc.
No article on popular Carnival music could be complete without mention of the official song of Rex, If Ever I Cease to Love. This song, a waltz, is the favorite of much of the ball-going set, a position it has held for a very long time, as the tune was first performed at the very first Rex parade in 1872. The song was selected because Alexis Romanoff Alexandrovitch, the Grand Duke of Russia, had seen Lydia Thompson sing it in New York in a burlesque show, Blue Beard, and was smitten by both the woman and the tune. The Duke’s decision to visit New Orleans during Carnival prompted the hasty organization of a gala daytime procession, which became Rex. In honor of the Russian guest, If Ever I Cease to Love was played often. The song was an instant success, and it has been the preeminent ball tune ever since.